A CubeSat is a miniature satellite that conforms to a standard specification of 10 cm on each side and weighs no more than 1.33 kilograms. Often these cubes are concatenated to form larger structures. This standardization in satellite technology has provoked a significant growth in their use, as economies of scale in components, subsystems, launch equipment, and logistics have enabled many cost-effective new ventures. Single-event upsets (SEU) can cause a change of state by a single ionizing particle striking a device; SEUs can affect both memory cells or logic circuits. Another radiation-mitigating feature of the MCU architecture is the implementation of dual interlocked cell (DICE) latches and triple modular redundancy (TMR) on internal registers. While the EDAC and scrub subsystems address SEUs in memory, the DICE latches and TMR implementation address SEUs in logic circuits. A Cypress CYRS16B256 rad-hard flash device is also connected to the micro­controller on an SPI communications port. The purpose of this device is to act as a data-storage bank. Any data that is collected during the mission (for example, from sensors in the payload) can be stored in its 32 Mbytes of memory. Depending on the radiation profile expected during the mission, a designer might consider replacing this device with the COTS-equivalent integrated circuit, the Cypress S25FL256L. An Intersil ISL706A supervisor device is used in the system. (The circuit configuration is shown in Figure 2.) This supervisor performs three important functions. The first function is to hold the MCU in reset until the power supply reaches an appropriate level to power up the MCU. The second function is to observe the system power supply as a latch-up warning monitor. If any device in the system latches up, the supply voltage will be pulled down. The ratio of the potential divider implemented with resistors R1 and R2 controls the threshold at which power fall input (PFI) on the supervisor chip triggers. For this reference design, the threshold has been set to 2.75V. In the event that the 3.3V rail drops to this level, a reset will be asserted to the MCU that will in turn reset the system. In most cases, the latched-up device will recover when the system is rebooted. The second non-radiation-hardened COTS device that is used in the system is an HI-3110 integrated controller area network (CAN) controller and physical layer (PHY). CAN is a popular serial communications protocol used widely in automotive systems that has also found favor with CubeSat designers because of its robust differential signaling characteristics. Whereas TTL level communications interfaces such as UART, SPI, and I2C are ideal for short-hop intraboard communications, the CAN interface offers a more rugged option for interboard communications within the CubeSat system. If, for example, a sensor is located in a different physical locality, the CAN interface is a good option to communicate with it due to the high noise immunity of the differential signals provided by the PHY. Because this device is not inherently radiation-hardened, special measures are taken to monitor and control it. If it latches up, the supervisor will be triggered by the voltage drop on the supply voltage. 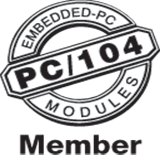 The HI-3110 includes internal status registers that are monitored via the SPI communications interface by the MCU. The 3.3V and 5V power supplies to the CAN device is gated so that the MCU can disable power to the CAN device and reset it if the status register data is ambiguous or indicates that an error has occurred. The power-supply gating circuit is shown in Figure 3. Figure 4: CubeSat OBC printed circuit board layout. There are typically two versions of ­radiation-hardened devices available from suppliers – a prototype grade and a flight grade. Flight grade devices are screened to a higher level than prototypes although they are form, fit, and functionally identical and use the same die. Prototype-grade parts are usually around half of the price of flight-grade parts and for that reason were selected for use on this reference design. Different specifications are used to quantify how an IC will perform in radiation-filled conditions including single-event latchup (SEL) and single-event upset (SEU). These are important to understand how often a device can be expected to exhibit bit errors in memory and logic errors due to ionizing particle strikes. The radiation specification most widely discussed for CubeSats is total ionizing dose (TID): This is a measure of the amount of energy that can be absorbed in matter (in this case, thematter is silicon) and is denoted in Krad(Si), or kilo units of radiation absorbed dose (in silicon). TID accumulates over time and results in increased source-drain leakage in the MOS transistors in the IC as the device oxide builds up an accumulated charge. There is also an expansion of the depletion region between PMOS and NMOS-type devices. TID accumulation will result in increased leakage current; eventually, the CMOS device will cease functioning as the threshold voltage is pulled down.